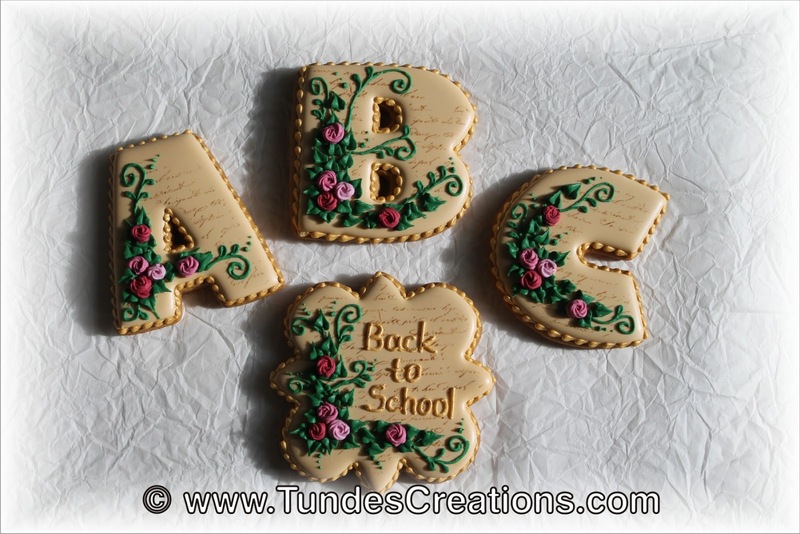 Until now, I had only a basic ABC cutter set, that I did not use very often, as the design is thin and the cookies break easily. Also there is hardly any room to decorate them. But I think adding a few letters to my sets can be fun, so I designed a nice fat set and asked Cookie Cutter Kingdom to print them for me. I bought a nice script stamp at Hobby Lobby a few months ago thinking what a beautiful background it would make for an elegant cookie. So I decided to try it for this set. I also used the little swirl roses made with TruColor natural food colors earlier this year, with darker green leaves than for my spring designs. To finish the borders and the letters I used CK super gold luster dust diluted in alcohol. Here is a closer look at the letter A. 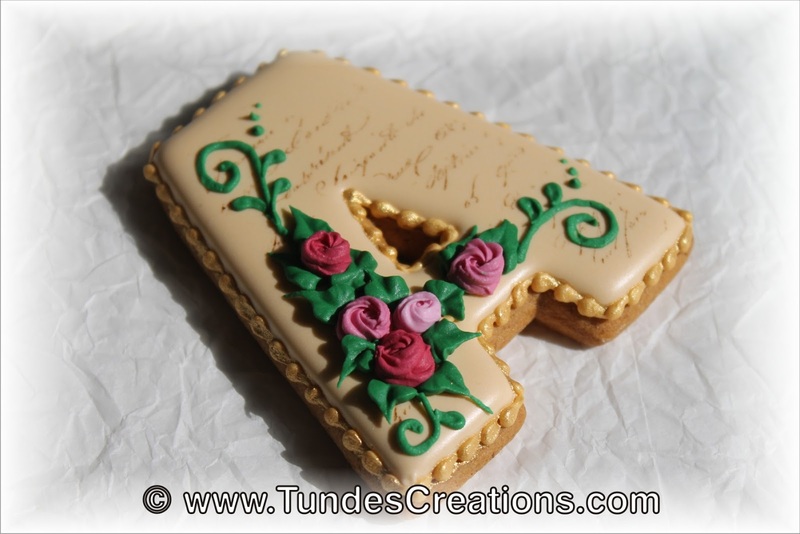 The alphabet cutters are available at Cookie Cutter Kingdom's website. 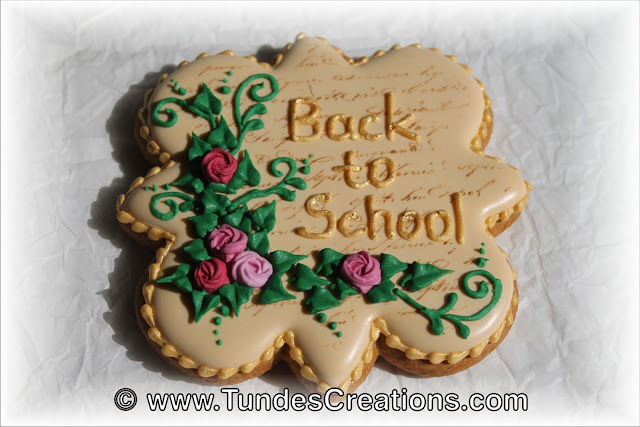 You can also get 10% off your purchase using coupon code "friendsoftunde". The plaque cutter is available here. Besides the lettering it has exactly the same design.